Did you have your avatar photo-shopped?? However, you did say you are on Differin so... breakouts are like a given!! I hope you clear up! 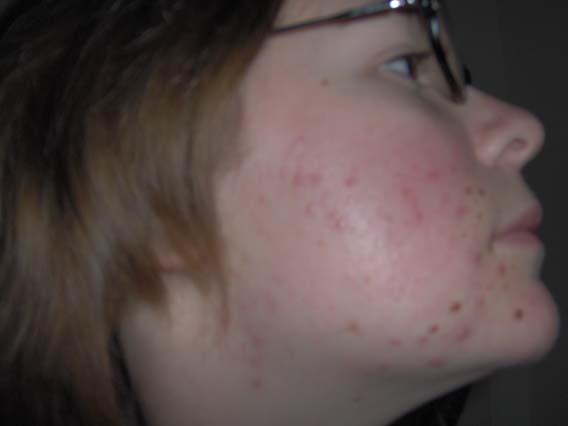 ur skins really going well...im on differin too i hopwe mine clears up quick, are u on any oral contreceptives because my doctor piut me on diane an differin and said theyll be goine in 5 weeks. the difference between week 5 an week 6 on your pics are great! keep me posted on how yuour going.